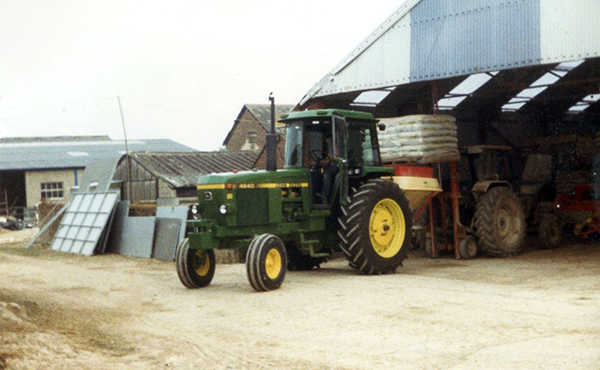 Purchased in 1979 by the Snell and Thomson Families, the farm originally incorporated a dairy herd alongside the arable crops. Continued low milk prices saw a change in farm policy that resulted in the sale of the dairy herd in 2005 and a focus on crop production. Fast forward to the present day and a highly efficient arable-based unit has grown to incorporate not only the land at North Farm, but additional rented land at Moor Crichel, and two contract farming arrangements on local farms. Furthermore, a bespoke contracting arrangement on a large organic farm near by shows the breadth of farming expertise we have to offer. Our passion is growing profitable crops.